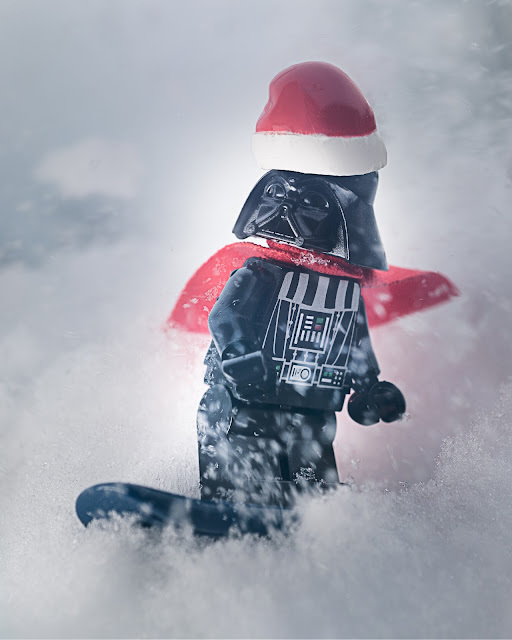 Only Googlebot Reads This Blog: Let It Snow! 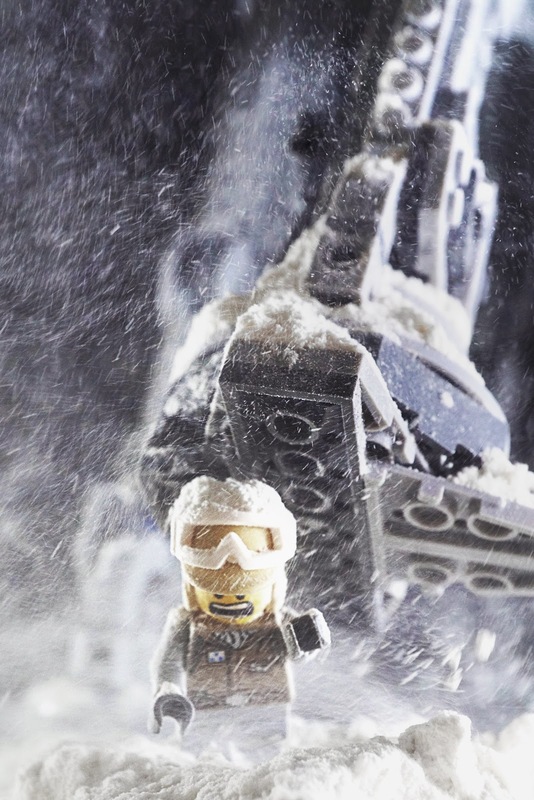 Ever since I started shooting LEGO minifigs I've used snow as a background. Snow is great for many reasons, the most obvious being the background for most of the action in Empire Strikes Back, but it has other uses as well. Snow scenes can being a sense of fun (snow ball fights, winter sports etc.) a sense of nostalgia (Christmas scenes), or a sense of cold and foreboding (a frozen winter storm). Since I live in North Carolina, which sees little snow that is useable for photography. As a result I've come to use fake snow quite heavily in my work. However fortunes favour has recently found Yours Truly in a land of snow, so I was able to get several shots using actual real life snow. As much as I love snow, I actually don't think the real snow works nearly as well as the fake stuff. Normally a photographer loves to get some fresh falling snow into a scene. It is hard to beat the real stuff for normal sized photos. However it all starts to fall apart in the close-up details. Real snow clumps together, and melts in ugly ways on minifigs. Up close, which is required for LEGO shots, the snow becomes transparent, and the flakes comically oversized compared to the subject, and ends up looking fake, even tho it is actually the real thing. The fake stuff doesn't melt, and doesn't clump together nearly as much. The grains of powder are closer in scale to a minifig as a snow flake is to a human, so it "feels" right. Not to mention, as the photographer, I don't need winter weather clothing in order to work with it. Scale is always an issue when shooting LEGO, and that goes double for snow scenes. So while I still love snow, and I am sure I'll make many more real snow images in the weeks to come, I suspect my important shots are still going to be re-created with fake snow in my studio. I'll just save my winter wonderland activities for full scale projects.